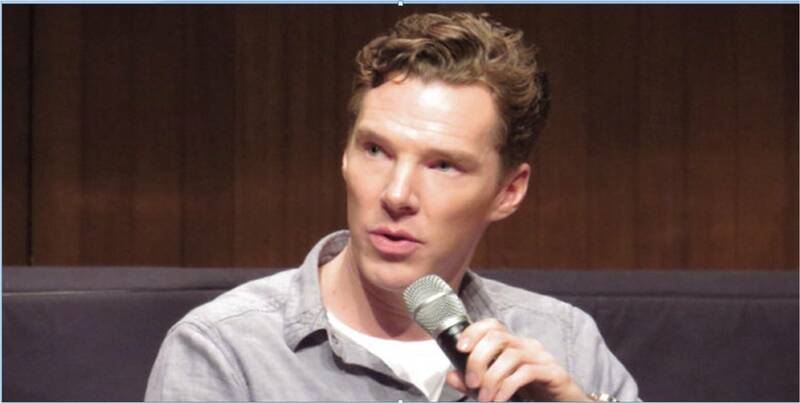 Benedict Cumberbatch, star of Sherlock, has just been announced for the 2014 Hay Festival. He will be appearing on Saturday 31 May as one of the panelists at Letters Live with Simon Garfield and Letters of Note author Shaun Usher. They will discuss Virginia Woolf’s suicide letter and the first use of the expression ‘OMG’, in a letter to Winston Churchill amonst other significant missives. We should expect him to be suitably attired for the Festival having been praised this week for his dress sense by Vogue editor Anna Wintour. According to the arch arbiter of style Cumberbatch was the only person at this year’s annual Met Gala who “nailed the white tie theme”. Also added to the Hay programme is a special centenary celebration reading of the work of the great Welsh poet Dylan Thomas by stellar line-up of Rob Brydon, Tom Hollander, Cerys Matthews and Jonathan Pryce. Rob Brydon appeared in front of a packed audience at Hay in 2012. His co-star in ‘The Trip to Italy” Steve Coogan will be at Hay too making his Hay Festival debut.